If you've been itching for a new stand for your precious iPhone 4 you might want to try this Wrench Stand to keep things simple. 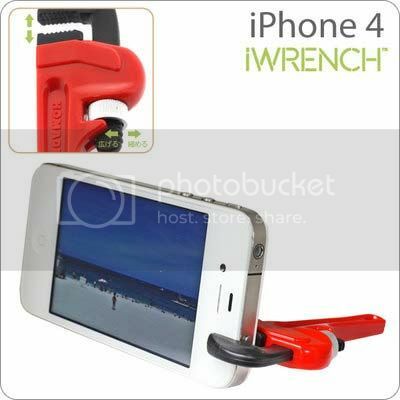 There's not much to explain here except for the fact that it's a miniaturized wrench that can adjust to bite that iPhone 4 or probably even the much anticipated iPhone 5. I don't think it'll support an iPad 2 but I'm pretty sure there's no harm in trying. Just make sure you don't damage or scratch your device by gripping the wrench too tight. It's going for around USD 5.60 of your hard earned cash if your feeling a little bit like a plumber.